Congratulations to "Sandra C.", the winner in Julie's giveaway. Thank you to all who participated! One of the things I’ve always loved as a reader, and that I enjoy creating as an author, is a community of characters. You know what I mean—stories that are connected, not necessarily by storyline, but by a place or related characters. Linda Howard’s MacKenzie family. The heroes and heroines who live in Rachel Lee’s Conard County books. The friends and family who populate J.K. Rowling’s Harry Potter books. And may I add the men and women in Kansas City law enforcement in my “The Precinct” books from Harlequin Intrigue. To me, meeting and revisiting characters and places in an ongoing series adds depth to the books. By reading them more than once, at different stages in their journey, I gain a deeper understanding of a character. I might meet a teenager as a supporting character in one book who grows up to become the hero of his own story. That’s the case with the hero in my February 20th release, KANSAS CITY COP. Mike Cutler, Jr. was a brooding teenager recovering from a traumatic accident in his father’s story, TAKEDOWN. Now, in KANSAS CITY COP, we see how Mike has matured. What kind of man is he now? How did his past help shape him? Is his bond with his father stronger than ever? And whatever happened to his friend going through physical therapy with him, the sharp-witted Troy Anthony? As I write, certain characters will leap off the page, demanding that I tell their story in a future book. Sometimes, they appear in several books before they decide to talk to me. Sometimes, a character resonates with readers, and I get all kinds of wonderful emails and letters asking me to tell so-and-so’s story. These characters become familiar faces to readers, who enjoy visiting them time and again. Plus, they’re an asset to me as an author. I need a criminologist to help my hero process a crime scene? I call in Mac Taylor, the hero from IN THE BLINK OF AN EYE to play that supporting role. It’s fun, too, to continue a character’s story from one book to another, even in a subtle way. Are they married now? Is she pregnant? Is she going to college? Has he been promoted? What is your favorite connected series or community of characters? I’ll give away a print copy of KANSAS CITY COP to one lucky commenter. Giveaway ends 11:59pm EST February 13th. Please supply your email in the post. You may use spaces or full text for security. (ex. jsmith at gmail dot com) If you do not wish to supply your email, or have trouble posting, please email maureen@justromanticsuspense.com with a subject title of JRS GIVEAWAY to be entered in the current giveaway. 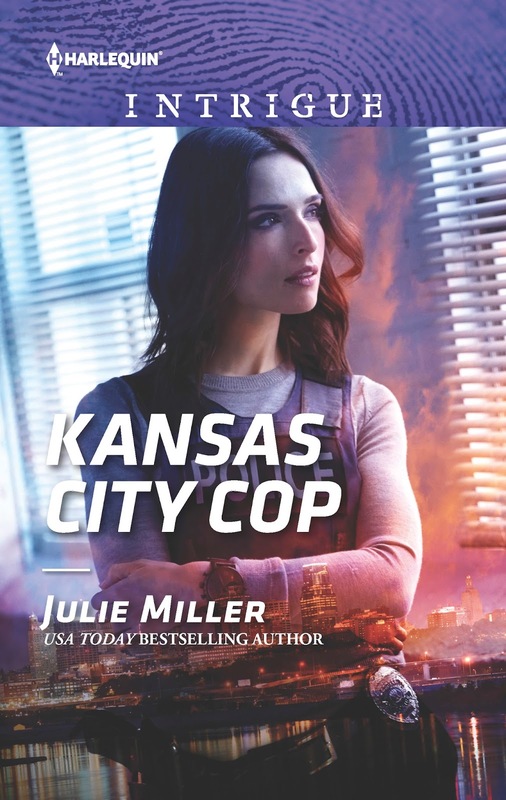 Love the cover of Kansas City Cop. Thank you, Kim. It's one of my favorites, too. I love the visual of the strong heroine, plus I love the colors the artist chose, along with the glimpse of the KC skyline. That's a tough question! I read mostly series and you've outlined exactly why I read and love them! I like many genres...from Victoria Thompson's Gaslight mysteries to Brenda Novak's romances and Heather Graham's Krewe of Hunters and many more. I love Heather Graham's Krewe of Hunters. I haven't read Victoria Thompson. And haven't read Brenda Novak for a while. Looks like some good suggestions! I love Emily March's Eternity Springs, Marie Force's Gansett Island series, and Lori Foster's Buckhorn series. Fortunately I got in on these from the beginning. Its hard when you pick up a book mid series, love it, then discover there are ten or fifteen before it. Thanks for the giveaway. debbiemac73 at yahoo dot com. I think Marie Force is a terrific writer! I haven't read Emily March yet. Sounds like someone I should try. One of the first books I started reading were Harlequins. I love Harlequin's Debra Webb's Colby Agency series. I love how you sometimes see how past characters are doing, and after so many books the series is still fresh. I've love the Colby Agency from the very beginning, Robin! Deb and I sold to Intrigue about the same time, and our first books came out a month apart. We've been fast friends ever since! Anne Perry has a Victorian series that it wonderful. I love your multi-story arcs. I just finished the Watson arc. 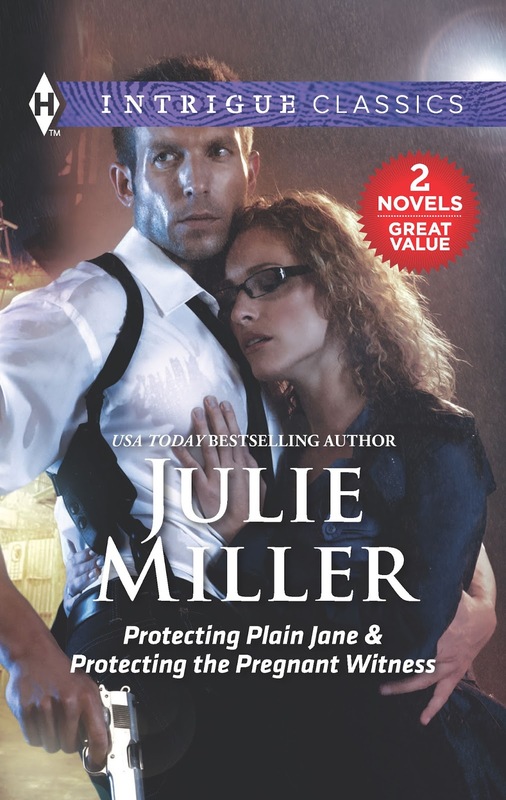 But my first Julie Miller book was Takedown & then the rest of the SWAT stories. After that I binged the Taylor stories but your SWAT family arc remains my favorite and I've read&read them multiple times. Thank you so much, Jeriann! 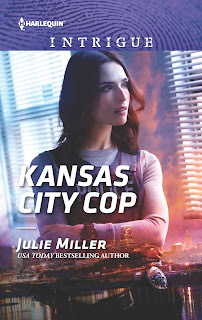 I hope you'll like revisiting some of those SWAT heroes and heroines in KANSAS CITY COP! I love connected series. I enjoy how you follow the same town or group of people in there own stories and sometimes see previous characters. That why I love harlequins so much. Couple of my favorite series are Bear Claw Creek Crime Lab,by Jessica Anderson, and five alarm babies by Delores Fossen. I loved Jessica's Intrigues! Such an exciting writing. And Delores is a dear friend of mine. I've read many of her Intrigues, and I'm really liking her HQN books now. Have you read about the McCords and/or the Grangers? I live so many inter-connected series that's it's impossible to pick just one. I enjoy the Fool's Gold series by Susan Mallery, The I-Team by Pamela Clare, RaeAnne Thayne's series are usually good, The Westmoreland's by Brenda Jackson, The Troubleshooter's by Suzanne Brockmann; MaryAnne Jordan, B.J. Daniels, Lynette Eason, Paula Graves & many more! I like Clare's I-Team, too. #TeamMarc. Oops! I see my own mistake. My apologies to Rafe Delgado fans. The hero of PROTECTING THE PREGNANT WITNESS, who appears in several of these books is Rafe DELGADO. I did write a Rafe Del Rio as a supporting character in my indie books--MAKE MINE A MARINE:IMMORTAL HEART, SHADOW OF THE HAWK, ALWAYS FAITHFUL. The hazards of writing so many stories and repeating favorite names. Sigh. Love your writing! Also love Alex Kava Ryder Creed series and especially Andrea Kane's Forensic Instincts etc. And wish they had had shows and books like CSI and NCIS when I was making life decisions(fifty years ago). I could totally see me being a criminologist if I'd known such a field of study existed years ago. As creative as I am, I've always liked my science, too. ops left out j a mandle at Verizon dot net. Wasn't Michael, Sr, mentioned in a book before Takedown, before he was Captain? Yes! I think it was THE ROOKIE with Josh Taylor and Rachel Livesay. But he wasn't the captain of the SWAT team then. OMG, you have a good memory :). I'd have to skim through it again, but he might have appeared in my novella, BRAVO-TANGO (with the bomb squad). This is NOT fair. I've read everyone of your books above and even pre-ordered Kansas City Cop. I also love Cherry Adair's TFLAC series. In fact, other than your books, her series is pre-ordered as well. P.S. I'm entering the contest. I have pre-ordered the book. Thank you so much for pre-ordering the book! If Maureen does pick your name as the winner, maybe there's an older title you could pick? Or one of my indies? I'm NOT entering the contest. Sorry. Wasn't Michael, Sr mentioned in a book before Takedown? Before he was a Captain? One of my FAVORITE series of ALL time. Love these man and women of K.C. !